Wearing racer bra tank top and Chicago capri pants both made by Onzie & purchased from Yoga Rebel. This is a new category I’m excited to start today! Here I will discuss HOW TO topics; from preventing injury, avoiding pains during practise, and getting the right technique. 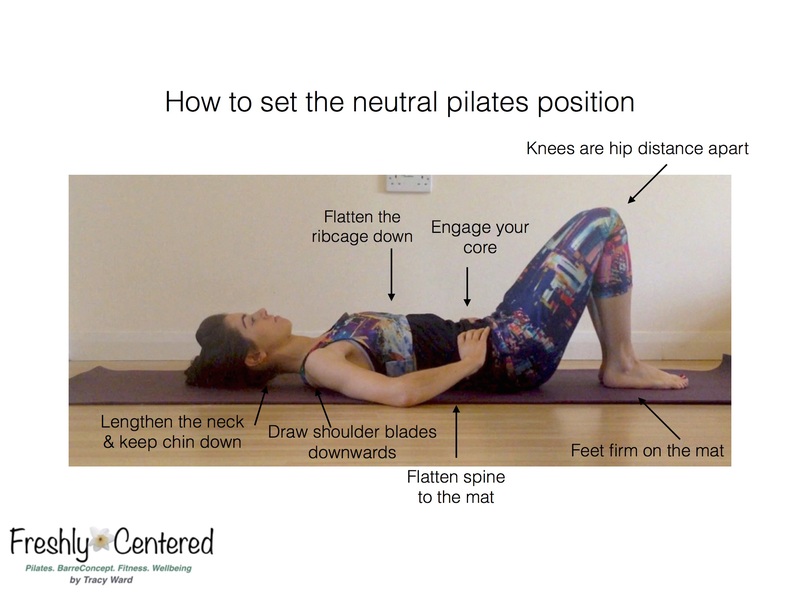 Today we will start at the very beginning with How To Set Your Neutral Pilates Position. 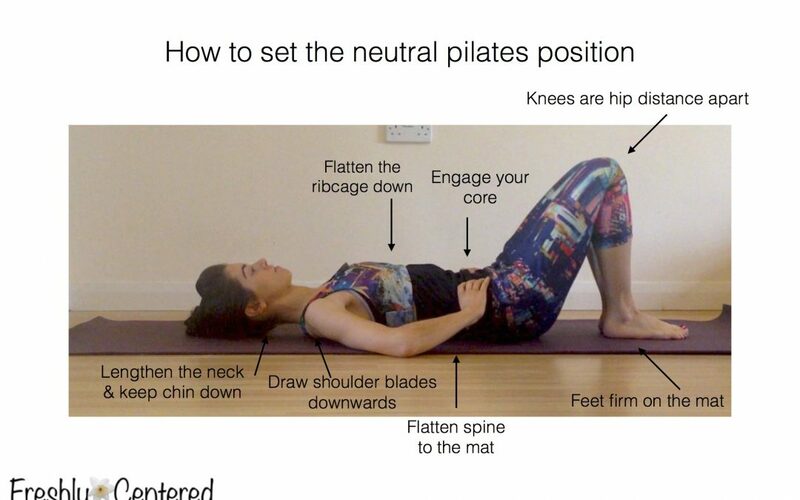 It may seem basic to those who are experienced in Pilates but getting your body in the correct position prior to any practise is the most essential part of your routine. We often become blasé with getting set up when we just want to get on with the workout, however If it’s not set up right then whatever follows next will not be done properly. Get the foundations set right and build from there for a more effective practise. Begin by lying on your mat and bend your knees up so that their over your ankles. The knees and feet should always be hip distance apart to mimic our natural stance position and build strength from here. Press the feet firmly in to the mat, especially at your heels, big toe and little toe. Rock the pelvis back and fore until you find the happy medium between having your back too far arched, and too far flattened. It should allow just enough space for a fingertip to slide underneath your spine with the spine flattened in neutral. Engage your core. This is the most important part! Place your first two fingers at either hip bone and palpate your abdominal muscles. Next, gently draw your muscles in towards the mat, about 20-30% as if you were flinching away from something. Hold this contraction. Soften your ribcage down to ensure your chest is not flaring upwards, and draw the shoulder blades down your back. You should feel them slightly pinch towards each other. This keeps them relaxed. Often when we struggle with core contraction we tense up elsewhere in the body, primarily at the shoulders so ensure they are relaxed and drawn down. Lengthen your neck to relieve tension here too. That’s it! You are good to go! Apply these principles to EVERY Pilates exercise, or in fact every exercise you do to keep your body strong, stable and in the best posture. 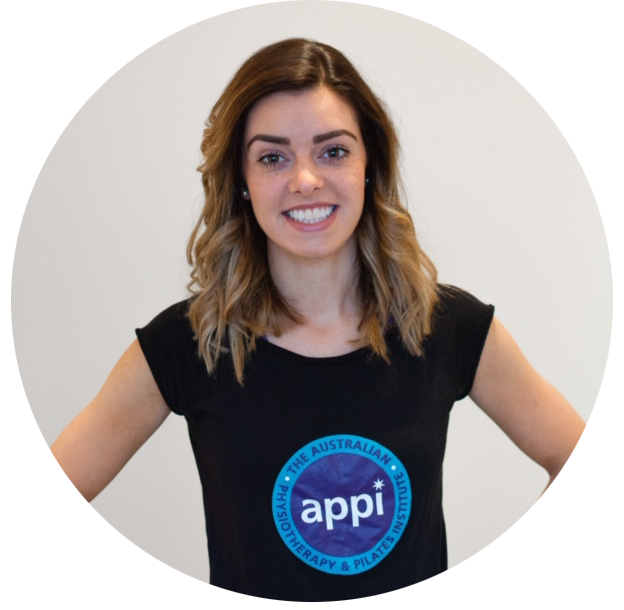 Try this 10 minute Pilates for Beginners workout to practise your neutral position now and get started on the basic principles. Get your printable copy HERE and keep it for reference before your practise!